Diwali means lights, decorations, delicious sweets and loads of gifts ( and sales too :D ). The festive season is a good reason to gift your near and dear ones, friends and family but most diwali gifts I have come across are mainly mithai, dry fruits or cookies. I know all these edible stuff is very traditional and popular but lets get real all this is VERY common and not to forget boring. If you really want to add an extra dash of fun this diwali and gift away something hatke and fun but are confused on what to buy then worry not we have you sorted. Gifting delicious sweets on diwali is a tradition which isnt going to die anytime soon and if you really want to follow this tradition then up your game a bit and go the modern route. Sugar free mithai which have artificial sweeteners catering specially to the diet conscious and diabetic people are a better option to gift your loved ones and family this festive season. Whom to gift: Friends on diet or relatives who are diabetic. Contemporary desserts can make your festive season sweeter . Cakes are an essential part of celebrations in the west and you can do the same this diwali by gifting a yummy looking cake in a jar. 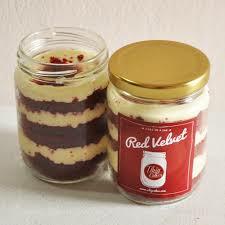 Cake jars are basically yummy layered cakes baked in a jar which look super cute, travel friendly and gift friendly too. Diwali sweets now got more cute and modern too. 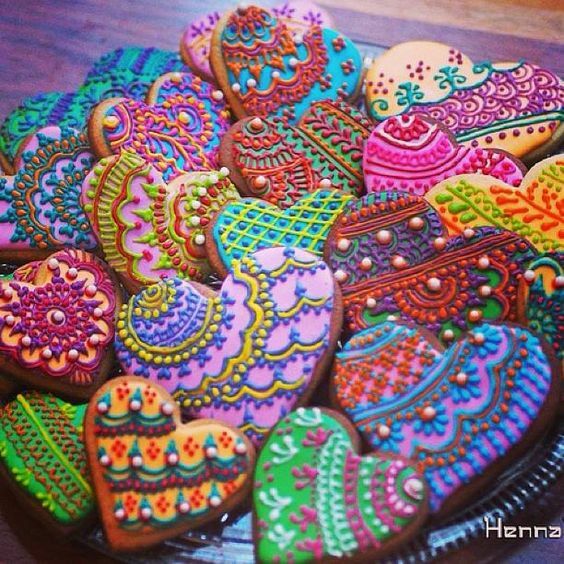 Donuts with an indian touch make for an ideal diwali gift. Mad over donuts and many other high end donut outlets come up with special diwali editions which incorporate traditional flavours into donuts coming up with fusion mithai like Motichoor, Kaju Katri and Gulab Jamun. these donuts help you pamper your sweet tooth without letting monotony set in. Where to buy: High end donut outlets like mad over donuts or dunkin donuts. Also try bikenervala or signature mithai. Nuts make for an amazing gift idea but give the nuts a twist this festive season. Nuts coated in a variety of flavours are a rage these days, think caramel Almonds, gur coated almonds, paan flavoured pistacios, peppery cashews, onion cashews, cinnamon coated raisins and Walnuts. 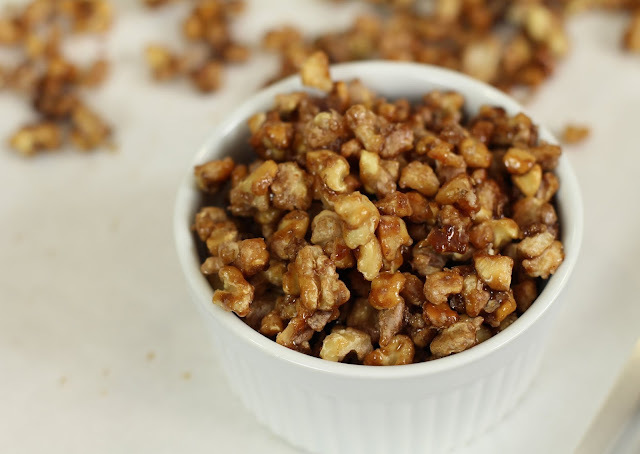 Nutty Gritties offer these delicious nuts with a traditional twist. Give them a try. 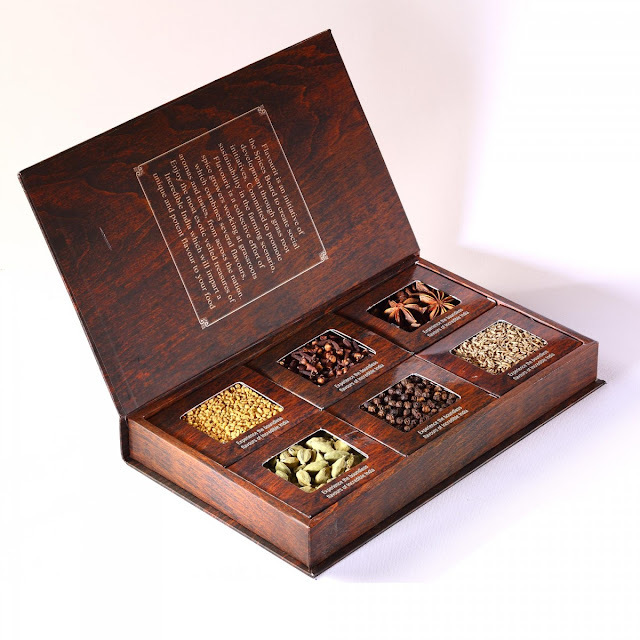 Assorted indian spices in a exotic box can make for a nice hatke diwali gift . This is inspired from SRK movie swadesh where Geeta gives Indian spices as a parting gift. This you can easily DIY by buying a beautiful box and spices from local market. 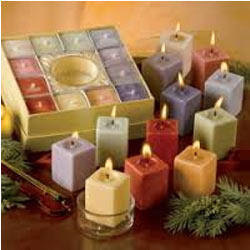 Scented candles as a gift is not a very new option but not many gift it for diwali. Try more traditional scents like jasmine to make the atmosphere more fragrant. You can even try diffusers and aroma lamps as gift ideas. Where to buy: Candles at Good earth & Fragrance Lounge, Diffusers from Borosil or Fabfurnish. Whom to Gift: Girlfriends or wife. Where to buy: Chumbak, Borosil, fabfurnish . Where to buy: Chumbak has some funky lanterns and candle holder. Also check out their cute bird cages. Fabfurnish, casa-pop and urban dazzle also have some nice options. 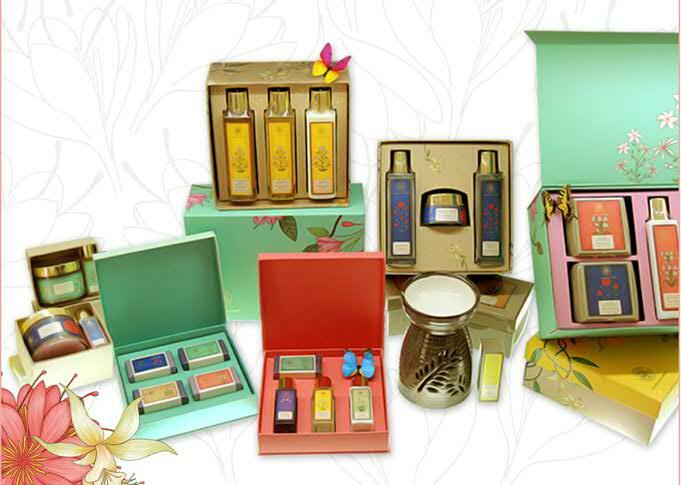 Pamper your loved ones by gifting them the luxury of essential oils. Forest essentials has gift boxes and many Indian beauty brands come up with special edition gift boxes giving you variety to choose from. You can also make your own essential oil personalized gift basket by putting together aromatic treasures. Buy different essential oils from your favourite brand (or a mix of brands ), add in a handmade soap a bottle of gulab jal , massage oil and TADA! Personalized luxury gift! Where to buy: Soulflower , Soultree, Sattvik Organics, forest essentials. 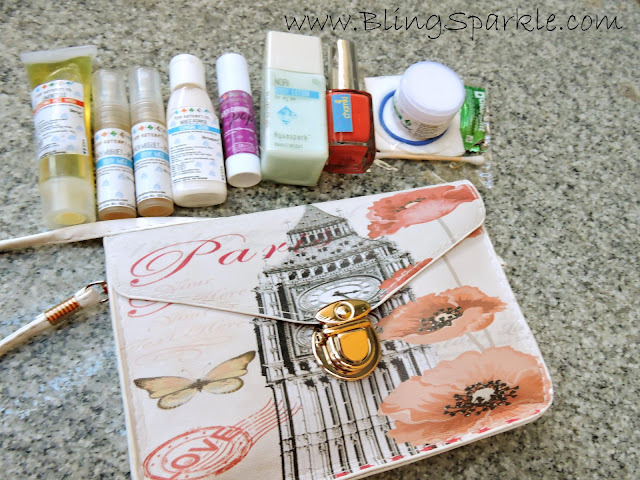 If a person has a passion for beauty and personal care like I have it makes sense to gift them beauty related stuff. Organic lip balms packaged prettily and cute handmade soaps are a good festive gift idea. 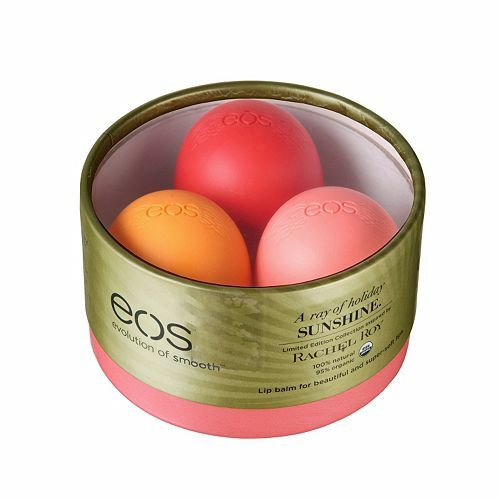 Organic harvest, EOS have some super cute packaged lip balms. Whom to Gift: Organic lip balms are good gift ideas for beauty crazy women or girls in your family. Perfumes have always been an alluring gift idea but for a more indian feel you can try aromatic attars from Ajmal which are also easy on the pocket. All Good Scents offers some quality perfumes at amazing prices. You can try their scentbox with samples or try their custom gift box. Have anymore unique gift ideas for the festive season? Tell us!